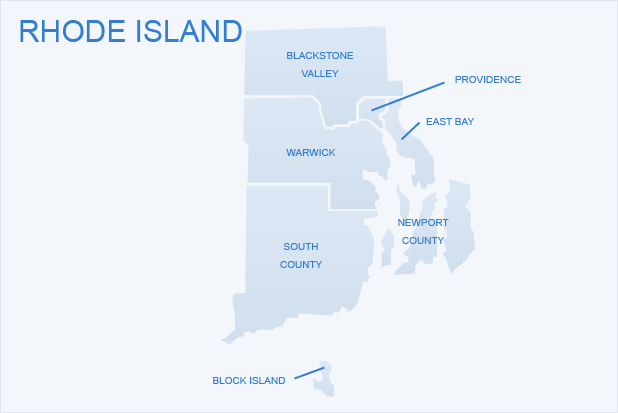 It might be the smallest state in the nation, but Rhode Island packs plenty of attractions and amenities in very few square miles. If you're planning a New England vacation, consider skipping New York, Connecticut, and Maine in favor of the Ocean State. You'll find friendly locals, beautiful seascapes, and abundant wildlife. 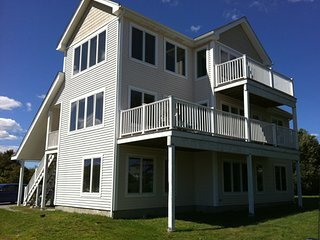 Reserve a Rhode Island vacation rental, and start planning your visit. 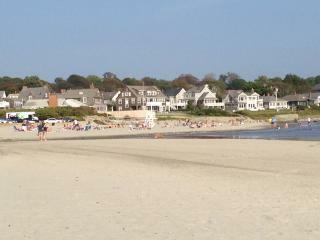 If you're looking for a relaxing adventure in Rhode Island, book a seaside cottage or condo in Westerly. It's a laid-back town with lots of amenities. You'll find many privately owned restaurants that serve delicious seafood, as well as small boutiques and shops so you don't return home empty-handed. It also boasts amazing fall colors for those who decide to visit in autumn. When you're looking for more excitement, you might want to visit Newport, Rhode Island, instead. It's known for its exciting nightlife and its plentiful mansions. You might pay a little more for lodging in this affluent community than you would in other Rhode Island cities, but the numerous amenities in Newport balance out the cost. Many people target Providence as the primary destination for their first trip to Rhode Island. As the state capital, this city offers plenty of culture and history if you're interested in fueling your brain while you catch up on relaxation. Don't skip a trip to Thayer Street after dark. It's where all the city's partying takes place, and it's home to some of the best restaurants in the state. If you decide to book a Rhode Island vacation rental in Newport, start your morning with the Cliff Walk. This National Recreation Trail boasts can't-miss views of the water and of the city on the opposite side. You'll stroll down a 3.5-mile path that gets progressively steeper as you approach First Beach. Wear comfortable shoes and bring the camera to capture the gorgeous vistas. Sports fans will want to visit the International Tennis Hall of Fame in Newport. Here you'll find hundreds of exhibits that detail the history of tennis all around the world and let you participate in interactive activities. Consider visiting Providence in May. Every year, a gorgeous art installation known as WaterFire lights up the rivers in the downtown district. The festival includes food, games, entertainment, music, and other attractions. Despite its size, Rhode Island offers plenty of attractions to keep you busy on vacation. There are more than 400 miles of shoreline in the state, so you'll love this destination if you crave time on the beach. Additionally, the state is home to numerous parks and green spaces for outdoor lovers. You'll even find wineries, vineyards, and breweries if you like to sample spirits. 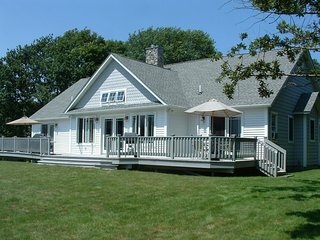 If you're sold on the Ocean State's undeniable appeal, start searching for the ideal Rhode Island vacation rental. Whether you're drawn to the peaceful tranquility of Westerly or the urban excitement of Providence, you'll return home with plenty of fond memories.